Going out and seeing what your customers are up against on a daily basis is essential to solving their unmet needs, a pre-requisite for innovation. But manufacturers can also plant the seeds of innovation by establishing a culture that encourages collaboration, play, and experimentation. A new digital age is dawning in manufacturing, steadily making its mark from product design to factory floor operations, and even to finished products that convey data back to the manufacturer. 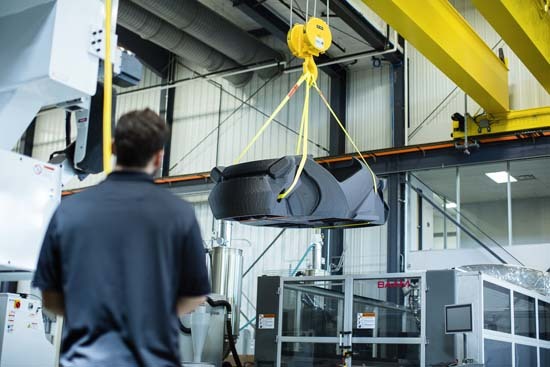 Fueling this transformation are a host of powerful tools—data analytics, artificial intelligence (AI), and dynamic software algorithms—that quicken product development cycles and expand the functionality of products in areas like new materials, 3D printing, electronics manufacturing, automobile manufacturing, and mobile autonomous robots. Using an approach called generative design, engineers today can solve part design problems with the aid of algorithms that enable them to explore a greater range of solutions, including some that are counter-intuitive to traditional thinking. Algorithms are also employed to make mobile, autonomous robots smarter and more adaptive to changing environments in a manufacturing facility (see “Mobile Autonomous Robots Are Built for the Long Haul”). And digital manufacturing apps are now available for shop floor personnel. 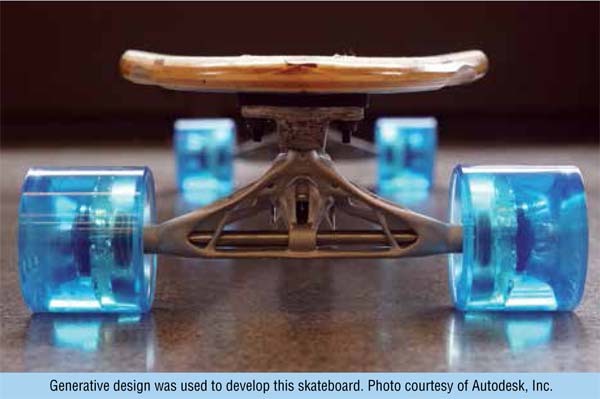 For the last three years, Autodesk, Inc. has been incubating a technology that takes a different approach to computer-aided design (CAD). Instead of specifying points and lines in a CAD tool, engineers who are using Autodesk’s generative design tool can rely on artificial intelligence to solve for them. Generative design allows users to look at a large solution set and think about their problem in ways that hadn’t occurred to them before. One user told Bradner that he can “look around at sort of this 30,000-foot level, and see where solutions are clustering” and then “land in his seat” by choosing the solution that has the physical properties and performance characteristics that he wants. The design tool uses artificial intelligence with high performance computing to radically compress the amount of time required to explore a range of solutions to a design problem. Airbus used a generative design approach to create a new lightweight partition, a structural member of an aircraft cabin where the flight crew sits on takeoff and landing. Bradner said their engineers were aiming for a 30 percent weight reduction, but were able to achieve a reduction of 40 percent instead. 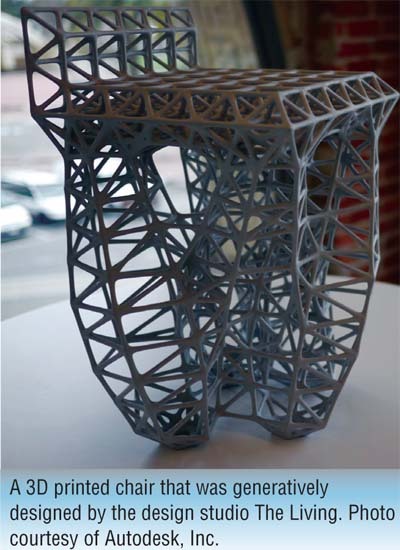 Bradner said that the idea for Autodesk’s generative design tool was conceived about four years ago, when Autodesk CTO Jeff Kowalski proposed a provocative question to the company’s computation group. When looking into a process that they could potentially use, engineers are used to asking about the limits of a process and its range of application. But generative design prompts a different question: What types of possibilities does it open up? “You now have a collaborator in the form of an AI (artificial intelligence),” Bradner said. This is early days, but right now, this generative design tool is exploring different materials for you. You give it the material definition; you can find the definition of materials online anywhere. It takes the Young’s Modulus and the Poisson Ratio for materials, brings that in and understands how those materials behave, and then it synthesizes form that satisfies your goals and constraints. So it opens up quite a bit of possibility. Hagel believes that companies today, including manufacturers, are really only capturing a small portion of the potential performance improvement that’s now available from technology. “Broadly, I would say that the core challenge that I see is that our institutions—and I include manufacturing companies in this, but it’s not just limited to manufacturing—are driven by what we call scalable efficiency. It’s a focus on ‘how do you reduce cost throughout the enterprise?’ And the way we’ve pursued scalable efficiency has actually limited the potential for innovation, partly because efficiency, the way we define it, requires predictability and reliability, so failure is not an option. Guess what? Innovation is not always going to succeed. There is going to be a high failure rate. If it’s not an option, we can’t innovate, so forget about it. What about companies whose cultures have allowed them to innovate consistently over the years? What are some of their key characteristics? “We’ve spent a lot of time with some of the more digital technology companies, and one of the things they do is they pursue an approach to strategy that we call ‘Zoom Out, Zoom In,’ Hagel replied. “Their leadership team has alignment around a 10-to-20-year view of what the market’s going to look like, and what our company needs to look like. And that’s the Zoom Out. A number of emerging technologies are poised to have a powerful impact on the way that manufacturers build products. Advanced robotics, 3D printing, artificial intelligence, and machine learning all hold promise as tools for achieving higher quality, efficiency, and productivity. But unless manufacturers apply them with the right mindset, they may be missing out on their greatest opportunities, Hagel said. Hagel said that in the same way that crowdsourcing and open innovation have been shown to benefit product development, the democratization of data—not just among a company’s internal staff, but throughout the supply chain and beyond—could potentially give a similar boost to the company’s ability to innovate. “One of my key messages to senior executives is, if you want to know where the money is, follow the data. The data will tell you where the money’s going to be. It may not be there this minute, but the key questions are ‘who owns the data?’ and ‘who has access to the data?’ Because ultimately, that’s going to determine who captures the value that’s available from the data. Strategies at the intersection of data and artificial intelligence are opening up opportunities for not just software engineers, but data scientists. And although a fair amount of research has pointed to a shortage of these skill sets in many companies, Hagel said, the biggest opportunities demand a somewhat higher set of skills. It’s one thing for a company to know it’s important to identify unmet needs; it’s another to be able to successfully do it. So how might one go about identifying a customer’s unmet needs? Manufacturers have long operated in an environment that requires them to balance trade-offs, whether it’s revenue enhancement and cost containment; customization and standardization; or competition and collaboration. But today, business pressures are converging to create a deeper complexity around the decisions they’re making, Hagel said. “If you think about the impact of digital technology on the broader business environment and global economy, at one level, it is intensifying competitive pressure in the sense of putting more and more pressure on our cost base, our asset base,” he explained. “So this whole focus on efficiency becomes even more important: We need to find ways to cut costs, to get rid of assets where they’re not necessary. “But on the other side, as the pace of change increases, customer needs are evolving at a much more rapid rate, and the ability to respond to those needs, through innovation and through more creative product design and ways of serving those customers, becomes central. So you’ve got this complexity of, on the one hand, cut costs, and on the other hand, become more innovative and creative in how you respond to a much more rapidly changing market. Much of what Hagel discussed in the interview implies a fundamental transformation of the way most traditional companies operate today. But he said that, from his experience, “transformation” is a buzzword that everybody uses, yet there are precious few examples of companies that have really transformed their business. His recommendation for transforming a business runs counter-intuitive to traditional strategies. Innovation in American manufacturing today is a team effort supported by the efforts of 14 Manufacturing USA Innovation Institutes, a network of participants from industry, government, and academia who co-invest in the development of leading-edge manufacturing technologies. These public-private partnerships focus on technologies that are critical to the future competitiveness of U.S. manufacturing, such as 3D printing, advanced robotics, and smart sensors, as well as technologies for manufacturing advanced lightweight materials, flexible hybrid electronics, and advanced polymer composites. A view of the Strati, developed by Local Motors as the world’s first 3D printed electric car. The vehicle was manufactured using a large-scale 3D printer developed by Oak Ridge National Laboratory, in conjunction with Cincinnati Inc. Image courtesy of Local Motors. The Manufacturing USA Institutes also play an important role in creating and sustaining manufacturing jobs. Power America, a Manufacturing USA Institute based in Raleigh, North Carolina, is working to make wide bandgap semiconductor devices cost-competitive with silicon-based power electronics. 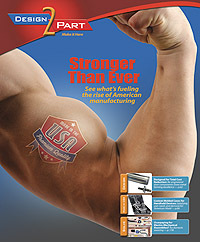 Last year, Power America partnered with the Texas foundry, X-FAB, to help upgrade the company’s facilities to a silicon carbide manufacturing process. The partnership has enabled new business opportunities for X-FAB and sustained hundreds of jobs, Brewster said. Despite the current growth of innovation hubs in the United States, innovation in manufacturing is not something that has always been fully recognized and appreciated. “There is innovation in manufacturing, but that’s not something that we, as a country, really realized until about the last 10 or 15 years,” Brewster said, pointing to numerous examples of technologies that were invented in the United States and manufactured elsewhere. She cited lithium ion batteries as an example. Brewster sees a number of megatrends that are driving innovation in manufacturing today. The first is new business models for manufacturing. Brewster was asked how she sees the manufacturing industry taking shape in the future. “I don’t think that we can even imagine what it’s going to look like, certainly, in 20 years, probably in 10 years, and, I would hazard to say, even in five years,” she replied. “I think that we just don’t even know what it’s going to look like. I will say that a huge part of American manufacturing is the small and medium sized manufacturers; they make up the vast, vast majority of manufacturing enterprises in this country. And we have to think of a way to [support their] chance of success in the same paradigm, as well. How can we support these small and medium sized manufacturers that want to upgrade their technology to the latest and greatest and want to define the workforce of the future? How can we ensure a level playing field for them as well? And I think that this is a whole other conversation. Unlike OEMs, which build lines for a standardized product, Local Motors builds flexible lines for multiple products. 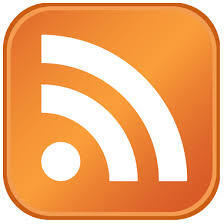 That enables the company to flex all of its product lines. Part reduction is a huge key in how Local Motors views design, and when building a vehicle, such as the Strati, the entire Body in White is 3D printed. “In traditional manufacturing, you’re looking at about 4,000 parts to 15,000,” said Rayer. “There’s a huge amount of parts just in the Body in White. So we’re really trying to take a product, make it modular, and then drop out parts through 3D printing, through digital manufacturing. And that’s one of our biggest keys. Most of our facilities are designed and laid out with that in mind. Local Motors’ micro factory reduces the number of parts required by 3D printing the Body in White. Image courtesy of Local Motors. Local Motors uses its community of open source solvers to improve in a number of ways, Rayer said. Rayer said that it’s easy for engineers to fall into “in-the-box thinking.” The hard part about that, as an engineer, is that you don’t see the advancements of technology. “With crowdsourcing, the interesting part that I get is I see the advancements of technology because they’re shared with me. And when we put out a challenge, so many people are throwing out different methods, it forces me to learn new methods and ask questions, and meet the needs of new products. “Traditionally, we were an automotive group. Then Airbus came to us and said ‘drones.’ For us, manufacturing is manufacturing. Never did a drone before, but with crowdsourcing, we started using the crowd to actually do aerodynamics; we used the crowd to get help with carbon fiber layup suggestions. We knew molding; we knew all the different manufacturing methods and how to get there. We just were challenged on ‘Well, take it this direction; take it that direction.’ So, crowdsourcing has actually been the idea generator. “It is a great idea generator, and it helps to stimulate the minds of engineers, and, also, the manufacturing because there may be a challenge that I face, and I just ask the crowd. And the crowd goes, ‘Well, why don’t you do this?’ and I would be like, ‘Whoa, that’s a great idea! I’ve never thought of it because I’m in a box. It would be hard to find a manufacturer who doesn’t want to be innovative, either in a process that they apply or a product (or part) that they make. But are there any steps that manufacturing teams can take to become more innovative? What are the keys to getting there? “For me, it’s the open mindedness,” said Rayer. “The one thing that helps me the most is being open minded and not being stifled by being the 48-year-old guy who knows it all. It’s opening my mind to a 21-year-old who says ‘I’ve got a great idea.’ And you listen to the idea and you work with them, and you work side by side, and you work through it, and you bring the two mindsets together, and you come up with brilliant ideas. Although open-mindedness is essential to innovation, manufacturers need to be practical about what they believe to be innovative. Rather than being lured by flashy technology, people should work through the practical details of whether it’s likely to provide a return on investment for them, said Daniel Theobald, co-founder and chief innovation officer of robotics manufacturer Vecna Technologies in Cambridge, Massachusetts. Embracing a collaborative mindset and work style—both within one’s company and by partnering in different ways with suppliers, for example—can also help facilitate innovation, Theobald said. “There are so many specific applications out there that no one person or company is ever going to be the expert in all of them. So as customers come to us with their problems, it’s very much a collaboration, and we’ll go back and forth with them. I think that’s one of the things that people really appreciate about Vecna—we’re not out there to just sell you a robot. We’re really there to help you solve a problem, and to do that cost effectively and to ensure that you’re going to look good in front of your boss, you’re going to get the kind of return on investment that you’re trying to achieve. 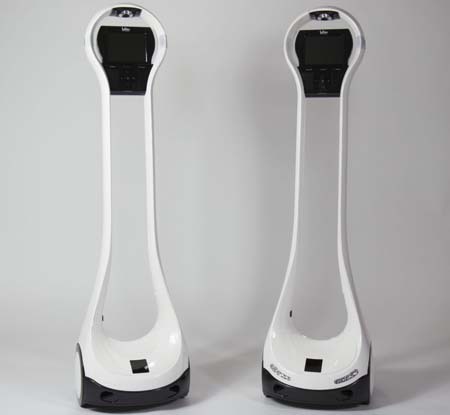 VGo is a telepresence robot that can help engineers manage teams and solve manufacturing problems remotely. Image courtesy of Vecna Technologies. Along with a collaborative approach, Theobald strongly believes that a company’s culture also plays an important role in its ability to innovate. That’s why Vecna encourages not just its engineers, but everyone on the team, to take on side projects that are fun. The message is to play, experiment, and have fun with technology. “If they’ve got an idea, we encourage them to go try it. We’ve got everything from solar powered autonomous VW buses, to an electric motorcycle, to a fully autonomous mechanical owl that is pretty amazing. I mean, these are things that people do on their evenings and weekends. “We make our engineering resources, our machine shops, our circuit board equipment, et cetera, available to our employees to do those kinds of projects. And I think we get a very strong payback there because a lot of times, there’s flowback from that because they’re learning things as they do those projects that they’re then able to bring to the customers, as well. In addition to encouraging his team to explore the fun side of engineering, Theobald said that it’s important that team members know that it’s okay to fail—it’s part of the process of learning. “So we’ve just found that having it here in the U.S.—in Massachusetts, in our particular case—has really helped us to shorten those product development cycles, to be more responsive to our customers, to deal with manufacturing issues in a matter of minutes and hours versus weeks and months. Having the manufacturing team be able to talk to the product development team and say ‘Hey, we could reduce the cost on this robot by $15 each if we could move this screw over here, or use the same kind of screw.’ That type of communication can really happen effectively when it’s all one team. The manufacturing team often times is a prime source of innovative ideas on how to improve the product and make it better. For more on Vecna Technologies, see Mobile Autonomous Robots Are Built for the Long Haul.